Scooby-Doo is going to deliver hearts and love. Let them bounce! 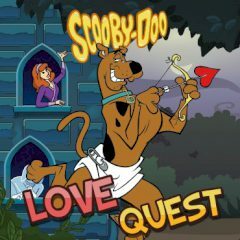 Are you ready to help Scooby-Doo in love thing? He will deliver hearts and you can help him with this. Bounce hearts and dodge smiths that fall above.